Abbeychart, the liquid dispense expert will showcase industry wide know how and expertise at Vendex North 2018 with a key product launch and enhanced services for OEMS, service engineers and operators on demo. 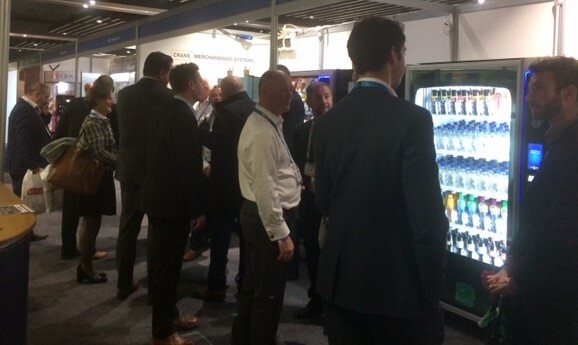 “We are delighted to announce that Abbeychart has recently added over 200 new lines to our range of vending machine spare parts for next day delivery to suit Necta, Rhea, Lavazza and Bianchi machines,” said Mark Taylor, Managing Director Abbeychart. Also new for Vendex: Bioguard is a comprehensive new specialist cleaning and hygiene range for coffee and vending machines featuring BIOCHEM for advanced cleansing action. In addition to general multi surface cleaning, specialist applications include backflush, de-tannin, milkline cleaning and descaling, meeting the needs of end of day and regular deep cleaning. Free samples of the Bioguard Coffee Cleaning Powder and Descaling Powder available throughout the show. 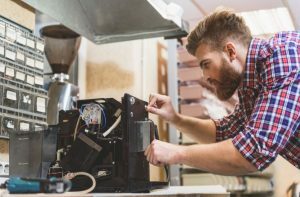 Please talk to Abbeychart at Vendex North about its complete coffee boiler refurb service to support operators with a cost effective, efficient and thorough descale and deep clean service available on a two day turnaround! Great opportunity as always to catch-up with contacts, products and services in the industry. We’re regulars at Vendex; this is our 10th year and we’re still making new contacts and new leads. Busy as ever, if not busier. Great to see old faces and new. What’s really interesting this year is the number of new products to the sector.